Non Woven Media for Paint booths and Electrical Heating System. 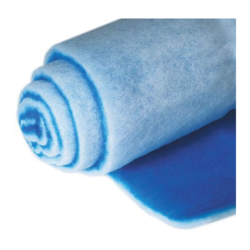 From our wide range of products, we are now come up with extensive quality array of Non Woven Filter Medias. This variety is contrived by our engineers with the utilizations of best machines and skill. These offered Medias are used for packing, oil absorption, vibration absorption, thermal insulation, polishing, and acoustics. Dai-Chi Cooling Solutions Pvt. Ltd.
Polyester polypropylene polypropylene sulphide PPs acrylic and cotton. We supply above material in all required GSM further we have several technical finishes and treatments that are suitable for woven & non Woven filter media to improve material. We have wide range of Non Woven Filter Media best suitable for Air, Oil and Water Filters. 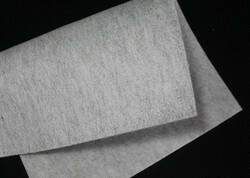 Needle Punch Non Woven Filter Fabrics and Thermobonded Filter Media are our main focus products. It"s thickness is 200 gsm. We are engaged in offering to our customer a wide range of Woven & Non Woven Filter Medias.